A high quality logo design to reflect the personality of your business. Your image can be applied across web and print. Your website built for your identity. When completed, you will have the option to apply your own updates and edit as you wish. Creating printed material for your specific requirements. Letterheads, leaflets, business cards, flyers, brochures and more. 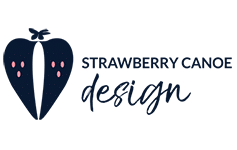 Strawberry Canoe offers a personal graphic design service to suit your individual needs and budget. A full top-to-toe identity across website and in print. Or just to refresh your current look where needed. I’m not into cheesy marketing, I just work hard at what I do. 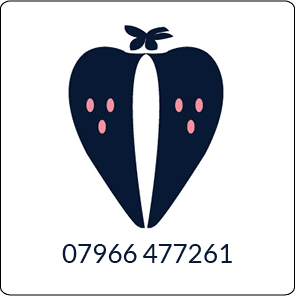 No pushy sales tactics, just thoughtfully crafted solutions from a graphic designer in North Devon (but I can work with you anywhere). If you want to know more, please call me on 07966 477261 and let’s have a chat. Please enter the sum in the box above.